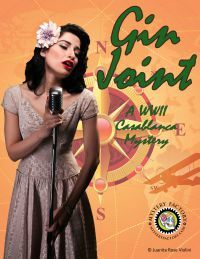 The murder mystery script, Gin Joint, is a ticket to World War II French Morocco with an underground resistance, undercover spies and under the table deals. Be sure to have your papers and your story straight. Requires 3 male and 3 female professional improv actors or eager amateurs, some props and minimal rehearsal time.